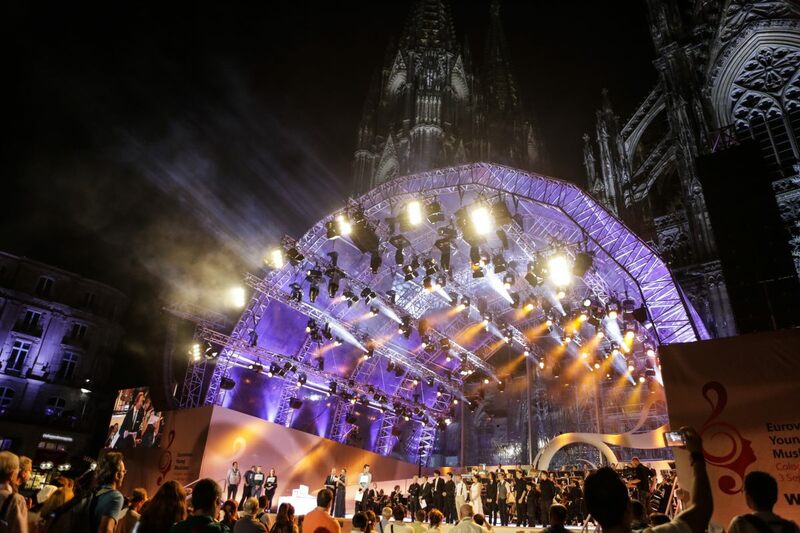 Earlier this evening eleven talented young musicians competed in Germany with the hope of winning the eighteenth edition of Eurovision Young Musicians. For the first time in the contest 34 year history, San Marino took to the stage of Eurovision Young Musicians, represented by Francesco Stefanelli – joined on stage by the competition’s youngest participant Dmitry Ishkhanov of Malta at just eleven years old, as well as Germany’s very own Raul Maria Dignola. The competition tonight saw the eleven young musicians aged between eleven and nineteen take to the stage for a total of 6 and a half minutes each. They performed a piece of their choosing for the assembled public and the five members of the jury. Saxophonist Łukasz Dyczko won the contest for Poland, playing Waignein’s Rhapsody pour Saxophone alto, followed by the Czech Republic and Austria. Awarded €10,000 Dyczko will go on to perform a solo concert with WDR’ symphony orchestra. In my opinion, Croatia should have won. Well. Poland wins its 3rd victory at the EYM. I hope the EYM 2018 will have bids to host including Vienna, Cologne, Poznan, Lisbon and Oslo.